Triple coated Aappam Pan Triple Coat manufactured by us are made from excellent quality raw materials procured from trusted vendors. 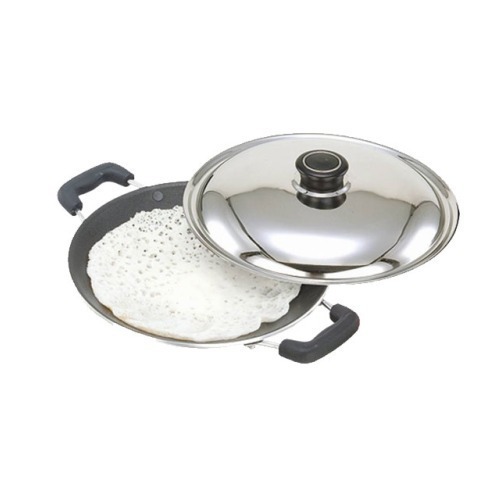 These Aappam pans have a strong riveted, heat resistant handles thus making them ideal cook wares. Constructed from premium quality raw material these are usable in induction cookers and are in high demand by our clients spread in Indian sub-continent, USA and a few Gulf nations. Some of their unique features include: High temperature resisting coating, Light weight, Durability and Easy maintenance.